A while back, I bought Gorgonzola cheese because I felt like making penne with Gorgonzola sauce. That did not happen though, and on Monday, the cheese was still in my fridge. 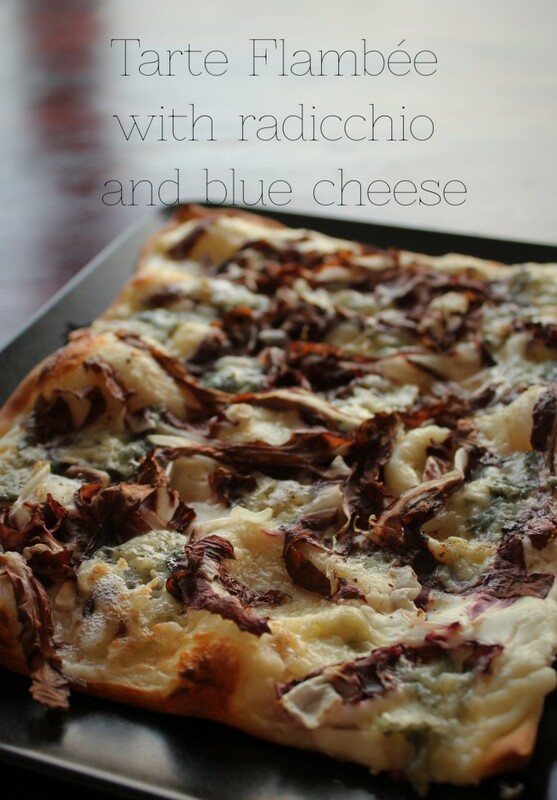 When I was taking the radicchio out of the fridge to make this Tarte Flambée, I figured, why not top it with Gorgonzola? I suddenly thought that would make a great combination. And guess what, it did. 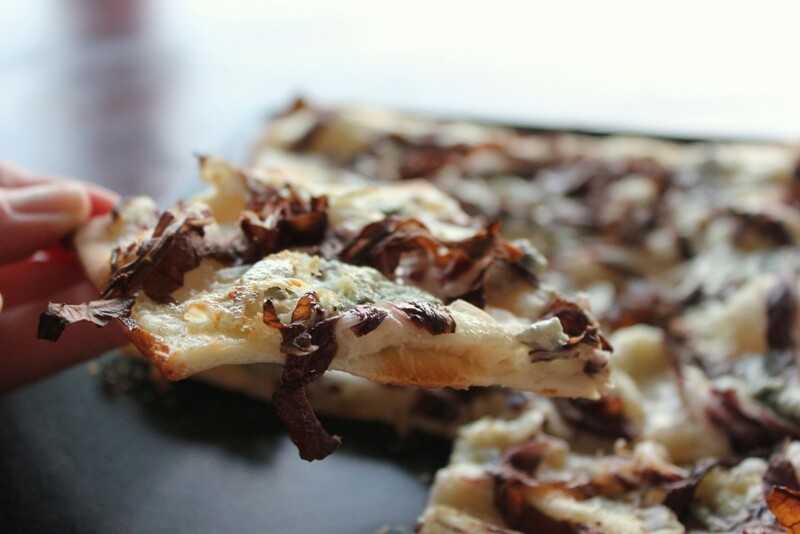 Plus, this Tarte FLambée is ready to eat in 30 minutes, tops. A great option for surprise guests! Preheat the oven to 250°C/480°F. Place the pastry on a baking sheet lined with parchment paper. Spread the crème fraiche on it, sprinkle with a little salt and a little more pepper. Wash the radicchio leaves, cut out the all-white parts and cut them into thin stripes (or thin-ish – mine were 1cm/0.4in). Spread all over the crème fraiche. 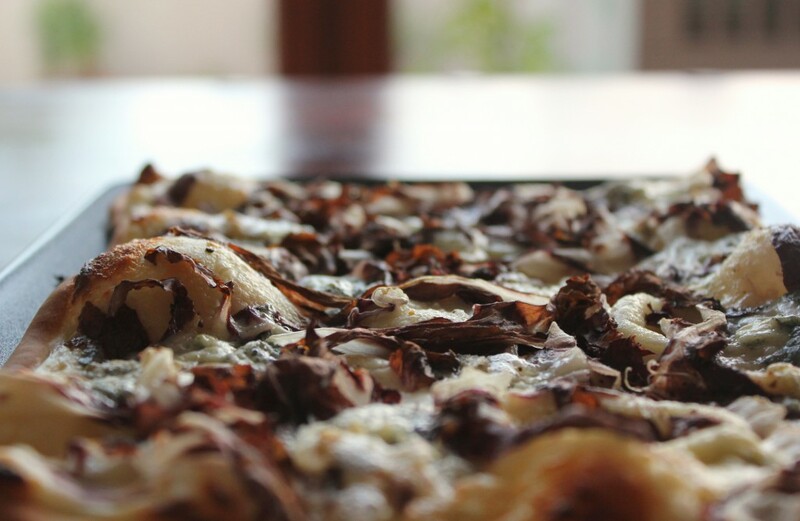 Crumble the blue cheese on top. Bake for 15 minutes. Serve immediatly. 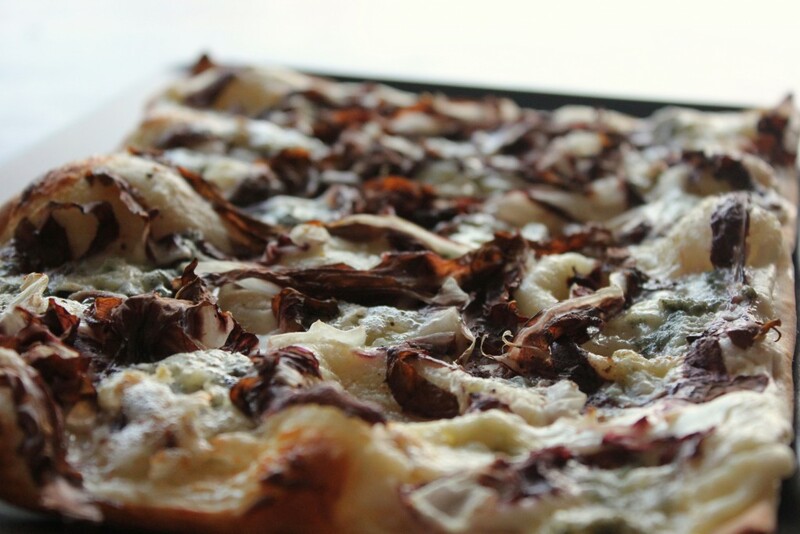 If the radicchio turns dark too early, cover the baking sheet with aluminum foil and it won’t char. Cooking, Vegetarian, Veggie of the Month. permalink. Das sieht köstlich aus! Muss ich mal nachkochen! Gourmet Elephant. All rights reserved. Unite Theme powered by WordPress.